How do I get draft prints from my Canon LBP 2900B printer to save toner? This is an option that you need to change through your Canon LBP-2900B printer settings. A dialogue box usually appears after you send a print job where you'll notice a check box for "Draft" or "Best quality". If this isn't the case you may need to look under "Printer Preferences". Otherwise, please consult your printer manual or contact Canon for technical support. Don't make the mistake of paying exorbitant shopping centre pricing on your Canon LBP2900B toner because we will give you a much cheaper alternative as a leading online provider. We take great pride in offering Canon toners which are less costly to purchase. Are you still concerned? If you're keen to spend less it will make sense to take advantage of our free next day delivery service which will cut back on the expense of ordering your Canon LBP2900B toner online. In case you needed more reason to purchase Canon LBP2900B toner from us then you must also take into account the cash back guarantee. Cartridge Save will happily offer a full refund in the very unlikely event that a Canon LBP2900B toner does not function to a high standard so why should anyone be satisfied with anything less? The Canon LBP-2900B desktop laser printer is designed for personal desk use in offices. From sleep mode, this unit has zero-warm up time plus it is energy efficient and uses an all-in-one cartridge instead of separate toner and drum units. The Canon i-SENSYS LBP2900B monochrome laser printer delivers a maximum resolution of 2,400 x 600 dpi. Print speed is a bit slow and networking is optional. 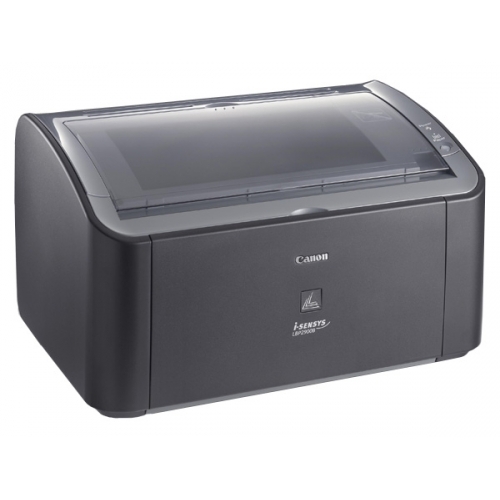 The compact Canon LBP-2900B printer has a minimalist design and comes in black or grey. The extendable top paper trays also acts as a cover. It can handle different media types and has a maximum paper handling capacity of 150 sheets. The Canon LBP-2900B mono laser printer has a print speed of 12 ppm for black and white output. This unit measures 369.8 x 216.7 x 250.5 mm and weighs 6.4 kg. It has a small control panel with one operation key and two indicator lights. The Canon i=SENSYS LBP-2900B laser printer takes up little desk space making it ideal for users with small offices. The LBP 2900B delivers good quality prints and only uses one cartridge. The handy LBP 2900B saves precious time with its instant warm up from sleep mode. This energy efficient desktop printer is user-friendly and requires little maintenance. Furthermore, the all-in-one Canon LBP-2900B toner simplifies toner replacement and makes replenishment more affordable. The main trouble with the i-SENSYS LBP-2900B laser printer is its slow print speed. It may be sufficient for personal use but may not work adequately in more demanding environments.